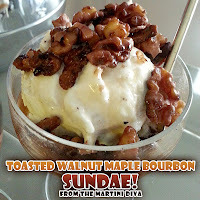 A sundae is an ice cream based dessert that consists of one or more scoops of ice cream topped with sauce or syrup and may also include other toppings like crushed nuts, sprinkles, candies and other edible garnishes. 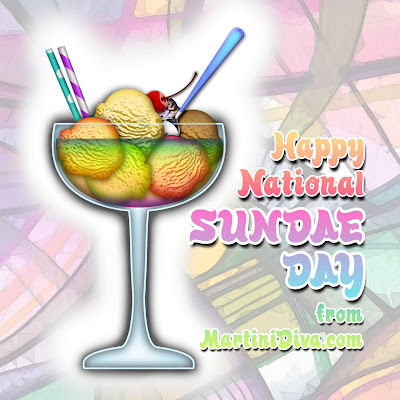 The sundae was invented when, in the late 19th century, many cities on the East Coast passed "blue" laws making it illegal to sell ice-cream sodas on a Sunday. To circumvent this law savvy vendors replaced the soda with syrup and originally called these confections "Ice Cream Sundays." After protests over he use of the word Sunday, they replaced the "y" with an "e" to avoid further upsetting the religious zealots of the era. Why Were Ice Cream Sodas Included In The "Blue Laws"? It had nothing to do with the ice cream and everything to do with the soda. Back in the late 1800's, soda with marketed as a miracle cure and was, therefore, viewed as a controlled substance. It was included in the list of controlled substances in many cities and townships and banned from sale on Sundays along with alcohol and other medications. 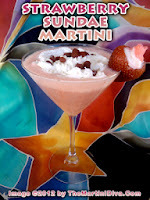 Who Invented The Sundae And Where Did It Originate? There are many cities back east that claim to be the home of the original ice cream sundae and much ado about which city has the right to this claim. There's no definitive information that gives full credit to any particular locale or individual. As far as I can see, the blue laws mentioned above were solely responsible for the invention of the ice cream sundae, so I'd give credit to the religious zeal of the era and just be thankful some genius came up with the idea to use syrup instead of soda. 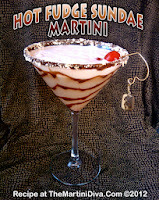 Who doesn't like an ice cream sundae - with booze?